Just a quick reminder … the warmth breeze of the summer is slowly slipping away. Nothing last forever and the Fall is just sneaking around the corner. Acne Studios has collaborated on a one-off unisex capsule with Swedish outdoor brand Fjällräven. The Fjällräven and Acne Studios has come up with common collection and within the new collection its with their own logo. The Swedes product series are created for active lives from the mountains all the way to sea level. Brand new collection on the way of clothing and bags featuring both for sleazy young adults and for a day older ones. Acne Studios, minimalist fashion brand, and Fjallraven, Swedish gear extraordinaire, just brought fashion to nature. 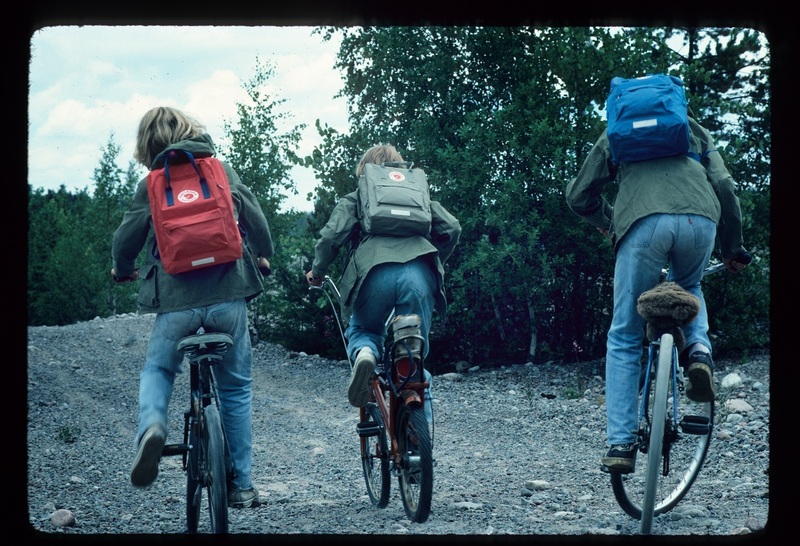 Fjallraven – known mostly for its squared-off backpacks – which is a highly functional brand. So with the emphasis on design from Acne, the two were able to create a range of jackets, tees, pants, and accessories that meet the criteria for either outdoor exploration or just looking good. The prices can be viewed online to shops available from September, 6. 2018. Great Awards and Festival … All in One – Balatonfüred – Hungary – 2015. Balatonfüred – Kenese – Siofok – Tihany – Keszthely – Balatonfüred. Between Balatonfüred and Zamárdi 7kms. starting line up to 600 boats. Not only in absolute competition prizes will be distributed, but the fight with every boat in class ranking position. The major said: Balatonfüred is the Northern capital of the Lake Balaton, which offers more than a dozen cultural programs, professional hospitality and eye-catching scenery with its wine hills around and hopefully, many Hungarians and foreigners will be interested to see the sailors race and also to get to know the landscape of Balatonfüred and all what is happening during the race. Also added, if the weather condition will be as bright and the strength of the wind as to-day, then it will be a very tight race to come. András Hotczhauser – secretary general said: The applications are still open … for locals and sailors from foreigner countries to join the race with any kind of sailing boats in the KÉKSZALAG except dinghies or multihulls under 25 sqm. of sail area. Also added: many may know that the KÉKSZALAG – „Blue Ribbon” is Europe’s longest distance and oldest lake passing around competition. Way back in 1934 anyone could enter and float off by any boat to be in the race. The goal or the real challenge was and even to-day goes for the sailors and their boats to beat time, to be first sailing around the lake within the race time of 48Hs. To this day Austria and Sweden sailors already indicated their participation to the race. More foreigner competitors will be known as soon as the registration float in. Joined the meeting was the most succesful Hungarian skipper by 11 wins in the KÉKSZALAG „Blue Ribbon’s” history, the helmsman Litkey Farkas sailing on his Lisa name boat. Litkey announced to have offered a prize which he named after his father to be Bence Litkey Cup. Zsolt Király – sailed around nine times around the lake with a monohull ship and finished twice the second place. He is considered as the best sailor on the lake. Both said they are very much looking forward to a great sailors competition. While the sailors will be working at their best to struggle against the challenges to complete the race, to be the first to cross the finish line, on the Tagore Promenade the audience may watch them rolling in. Donation received by the sponsors will be transferred to the charity foundation. Hungarian Hospice Foundation, where professional care aims in improving the patient’s quality of life, minimize pain and provide emotional support for the family. The LáriFári Foundation primary objective is to support children and their families, who have temporary difficulties in their lives, first of all, but not only for a disease but also to keep the affected families together and the Breast Cancer Association. At the press conference the director of Land Rover – Hungary offered one million HUF in supporting these foundations to support the needy. The world-class competition promises a pleasant stay at Balatonfüred and most surely fulfill the audience and visitors with memories to cherish for a lifetime. Was said by the sailorman, if the weather condition will be as bright and the strength of the wind as to-day, it will be a very tight race to come. All the side programs are free of charge. For those who have somehow missed to get acquainted with this international sailors race and pulls up their eyebrow and wonder why KÉKSZALAG – „Blue Ribbon blue”? Here’s what can be said about it in simply three words … have no idea! … but do know, it is one of the most popular sailing race in Hungary and known by many foreigners countries. The organiser stuff arranged after the press meeting for the media representatives an unforgettable sailing boat tour to show what is it like sailing in the middle of the Hungarian Sea. It was an awesome experience floating in the gorgeous weather and with the summer breeze it surely made our day … so no wonder the sailors all are addicted in cutting the waves.